If you like a little sparkle and shine in your life you can look forward to lots of shopping opportunities in the coming months. I hope you can forgive my delayed posting but life got in the way. I’m back with lots of things to share from NYC. Above you see accent pillows gilded in metallic or paveed in paillettes. Seems even the most traditional of vendors had a bit of gilt this season. 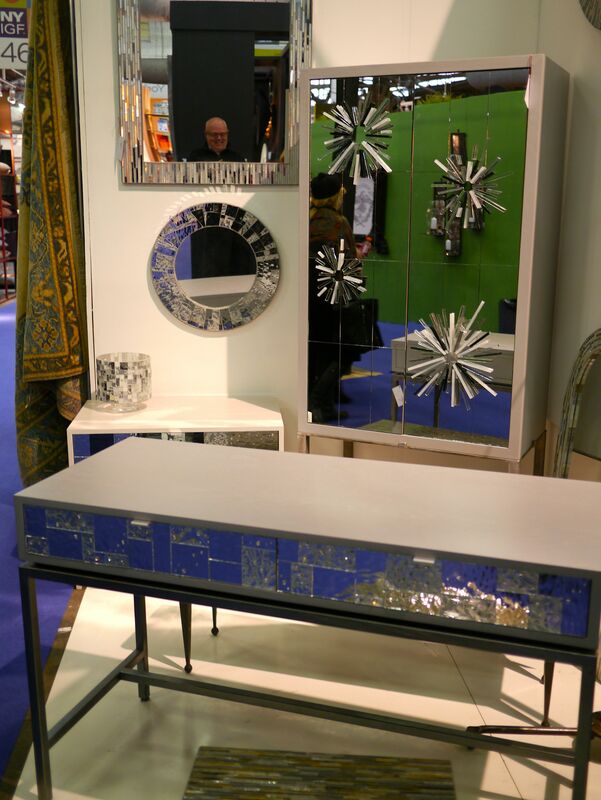 This mirror is from a company out of Little Rock, AR called Emporium. At this point I have to admit I’m not really taken by the glitz trend. I like sparkle and shine for special occasions and holidays but can’t say that I see it as “timeless” with regards to interior design. However, knowing there’s always the possibility of exception…I absolutely knelt down over this mirror. Again, Gold Gilt is really not a finish that I use a lot of . Yet, the finish on these circles, the manner by which they are organically strewn on the wall and the fact that each mirror is concave makes this a piece that could be used in many places in the home for years and years to come. Now for the featured attraction. The next time you’re in New York City on a Saturday or Sunday a reservation at David Burke Kitchen is a must. We shared a “snack” and a “starter” that could’ve easily been our meal. 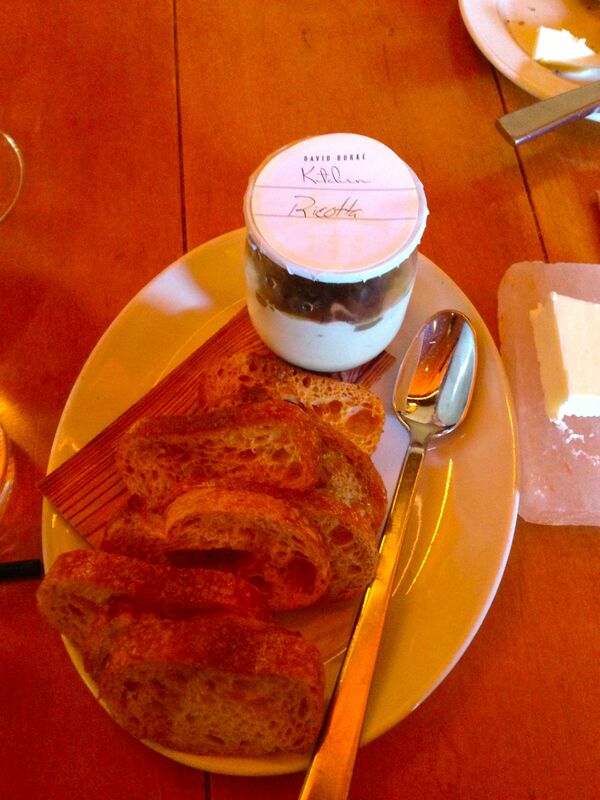 The jar you see is layered with Tomato Jam, Creamed Ricotta and Roasted Eggplant. 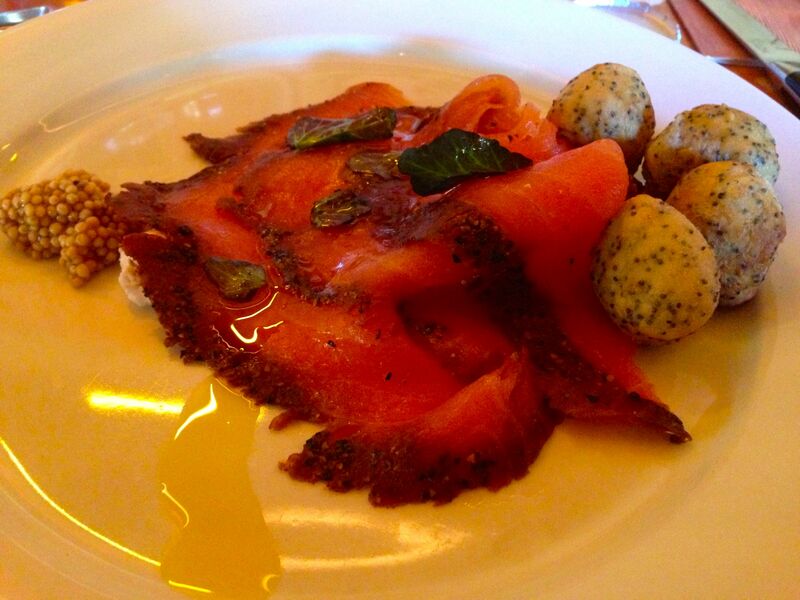 We also had Salmon Pastrami with Bagel Fritters, Pickled Onions and Garlic Creme. 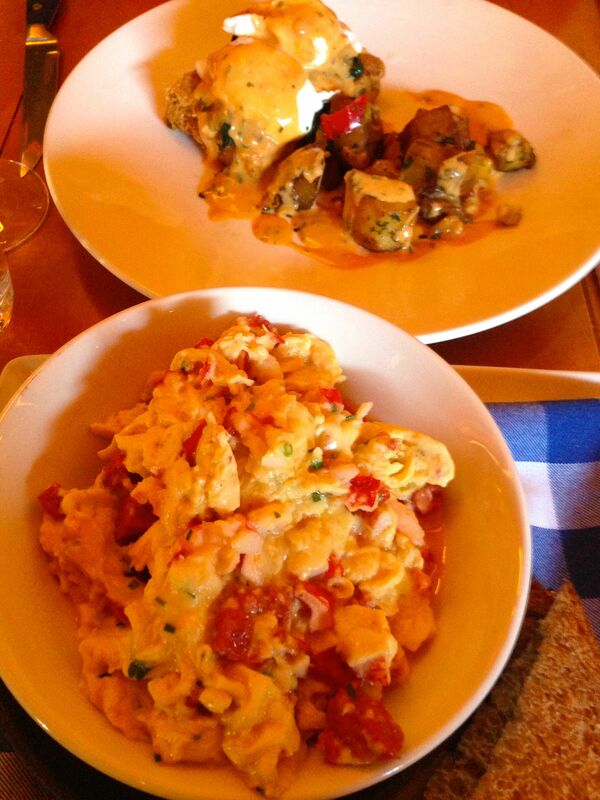 Then we had the “Kitchen Benedict” and “Organic Lobster Scramble”. Two words…Spectacular, Spectacular!!! More NYC reports soon…’til then I hope you’re staying warm and cozy and that your house is lovely!!! Next Post Lighting is Everything!!! Oh my word! Fantastic! Love the mirror.